Updating home decor always feels slightly decadent. 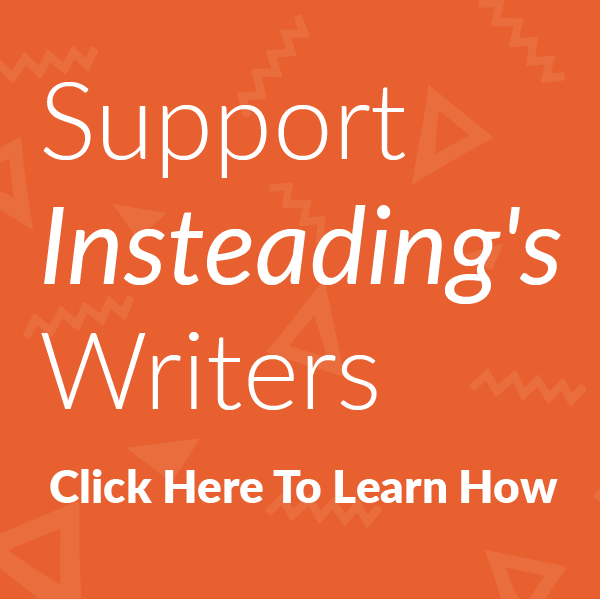 After all, just because you don’t like the look of something anymore, doesn’t mean it’s no longer useful. This is where upcycling saves the day. With a lick of paint and a few simple tools you can transform any tired, boring looking piece of furniture or home decor into something fresh and new. In my home, I was getting bored of my off-white lampshades. Off-white goes with everything so was the practical solution when we first moved in. But now we are settled I wanted to spruce things up a little. 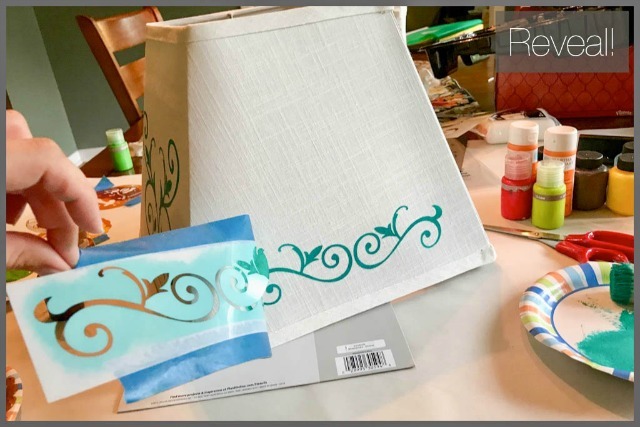 I came across this great idea for stenciling new patterns onto old lampshades and decided to give it a try. Initially, I was a bit intimidated by the whole process. There’s no “undo” button with paint, and lampshades—even boring white ones—are not cheap items. However, a quick trawl of some local thrift shops and yard sales turned up a few I could practice on to get my technique up to par before tackling the ones in my home. 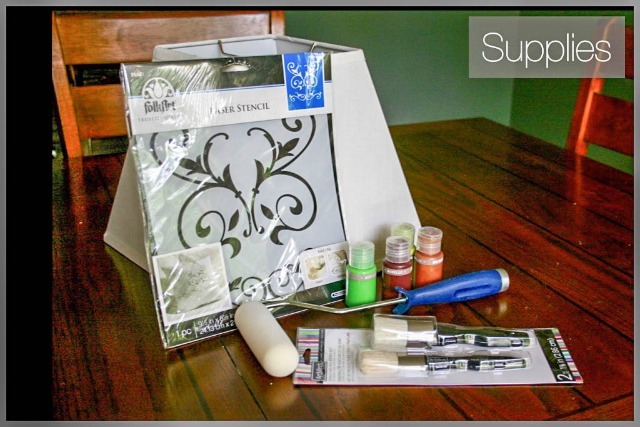 What I discovered is that stenciling is really easy! 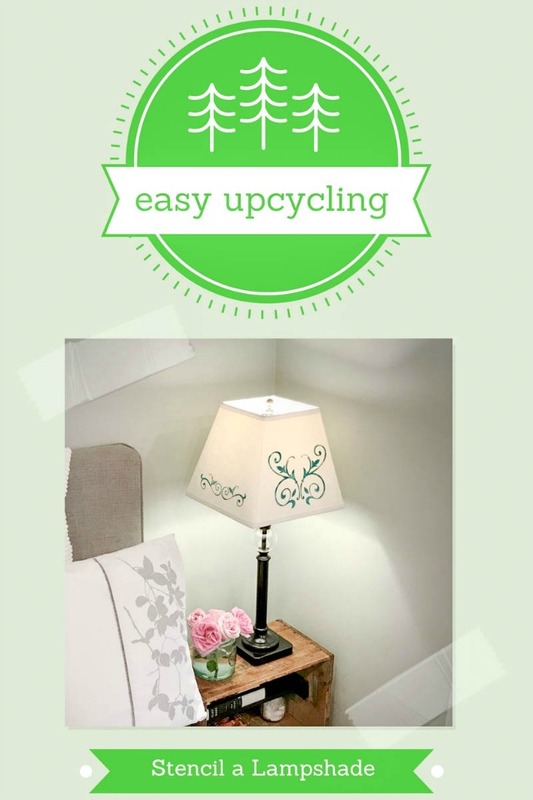 Here’s a step-by-step look at how to “upcycle” your old lampshades into fun, focal pieces of your home’s decor. Gather your supplies and put some paper or a drop cloth down to protect the area you’re going to be working on. 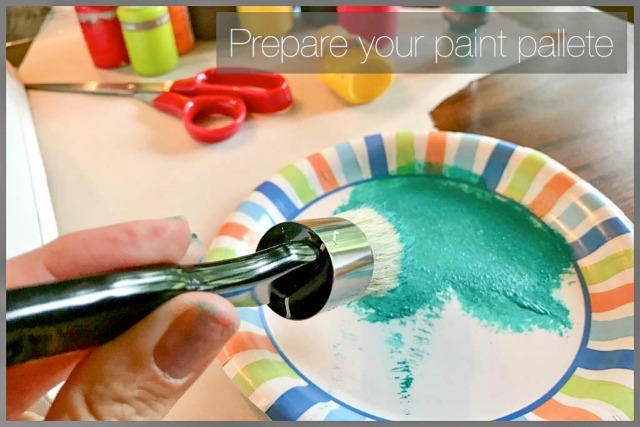 Choose your paint color and pour a small amount onto a paper plate. Use a different plate and brush for each color you are working with. 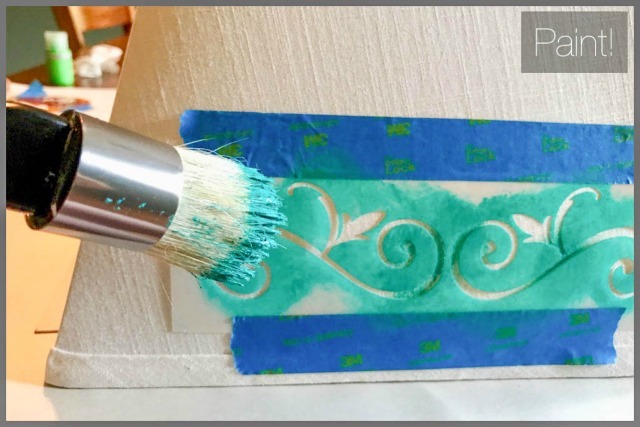 Attach the stencil to the lampshade with some painter’s tape—the thicker, the better, as this will help prevent paint from getting on to the other areas of the fabric. Now you’re ready to paint. Dip the stencil brush in the paint and rotate in a circular motion to ensure all the bristles are covered. Then dab the brush on a thick layer of paper towels to take off excess paint. You want to apply a very thin layer to avoid the design “running” under the stencil. Next, carefully apply the paint to the lampshade, using gentle, circular motions. Go over each section a few times to with the brush to layer the paint on, making sure you have enough color. Once you’re finished, peel back the stencil and admire your handiwork! 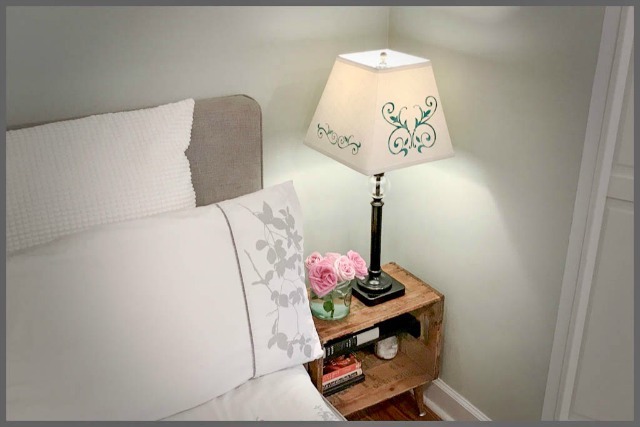 Stencils really are a simple and fun way to update anything from lampshades and pillows to larger pieces of furniture, such as dressers and side tables. You can even use them on your walls. Go ahead and get creative and refresh your home without throwing anything into the landfill! Jennifer Tuohy is a DIYer with a plan to make all her projects greener, and writes about them for The Home Depot. 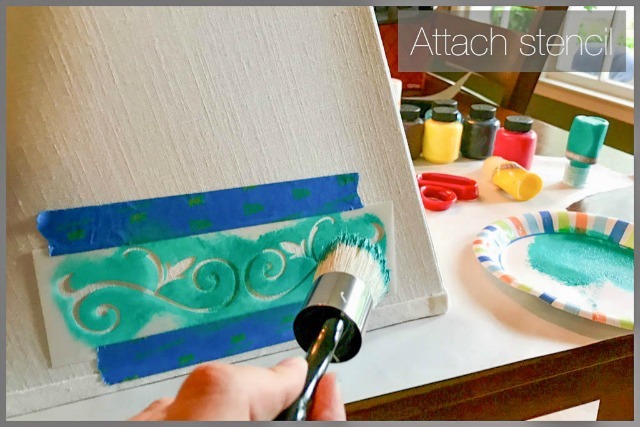 She has created great decor projects using craft stencils and some paint. And if she can somehow use new apps or technology to help her execute her design, that increases her joy for the finished product! Next article Fight Drought with Diet – What’s the Water Footprint of your Food?